Unique iPhone 4 Felt Case! 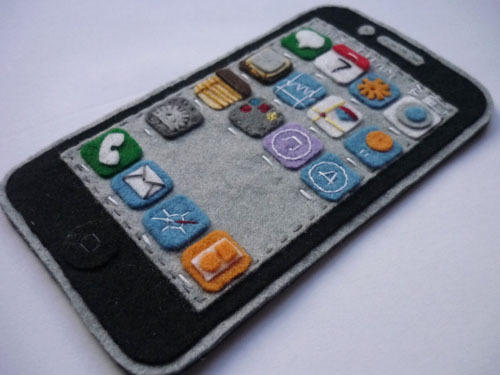 This handmade and carefully handstiched felt case is a cool way to protect your iPhone 4 or iPod Touch! The soft felt protects your iPhone or iPod Touch from scratches. The front of the case has all the detailed icons of an iPhone screen.